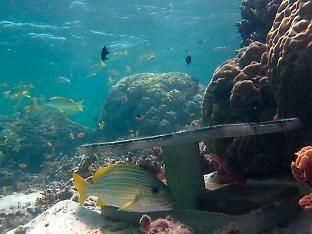 James Cook University researchers James Kerry and Professor David Bellwood constructed artificial habitat to test the attraction of concealment for large reef fish. James Kerry is a PhD student in marine biology at James Cook University. The research was funded by the ARC Centre of Excellence and is published in the scientific journal Coral Reefs.